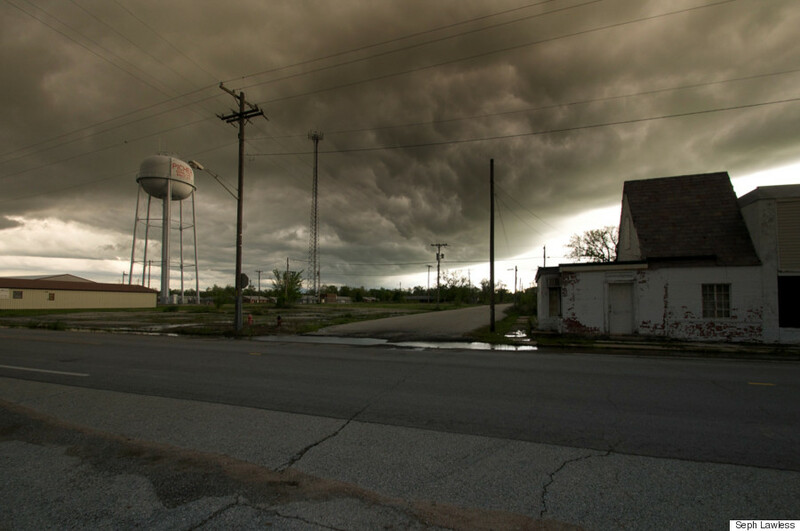 Picher, Oklahoma Is America's 'Most Toxic City.' 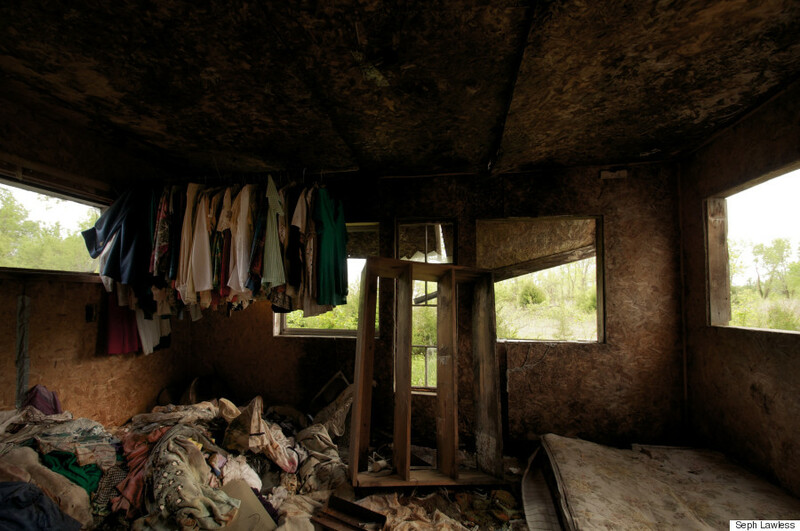 Seph Lawless' Photos Show Us Why. It's like Cormac McCarthy's "The Road." Except real. 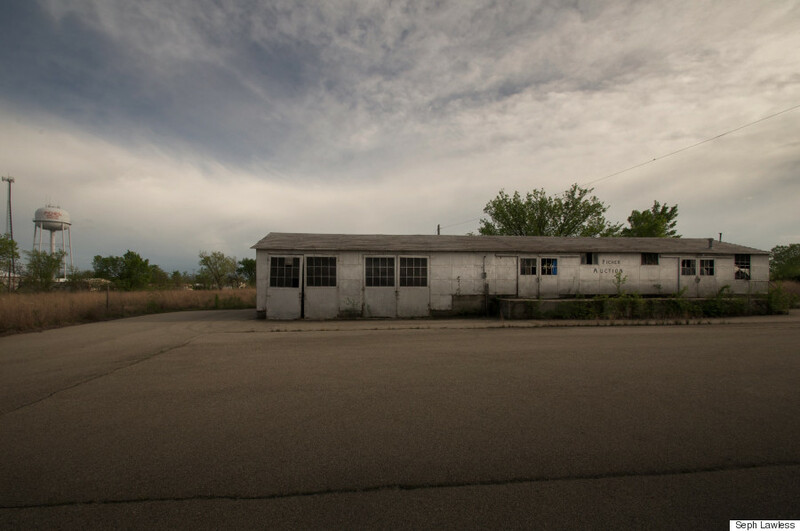 Artistic photos of urban decay are so common, they've almost become cliche. But they look like high art when they come from Seph Lawless. 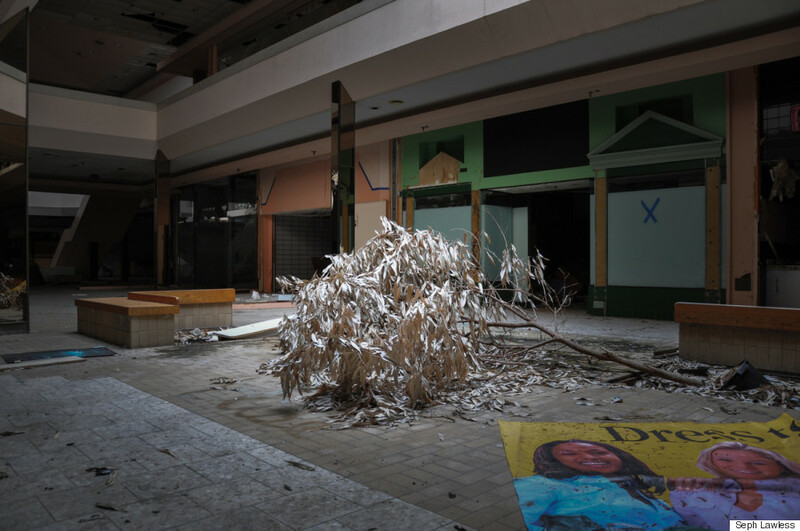 The Cleveland-based photographer captured haunting images of abandoned American malls for his book "Black Friday" in 2014. 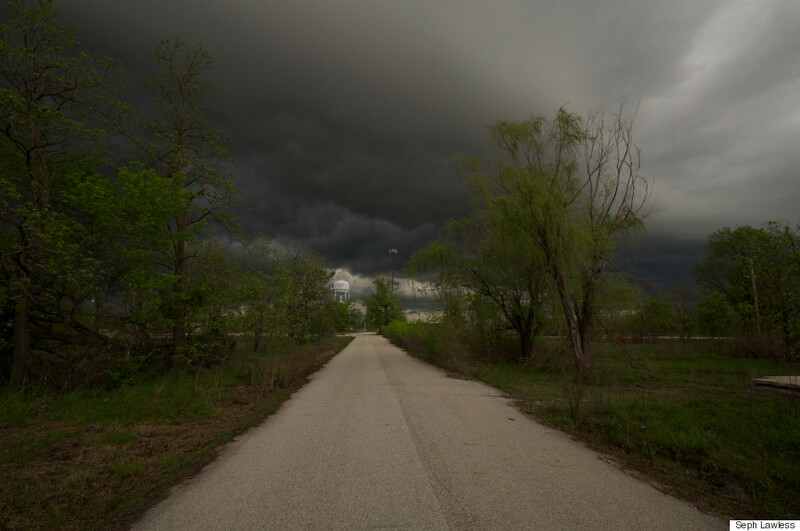 More recently, the artist turned his lens on a new subject: Picher, Okla., a place described as "America's most toxic town." 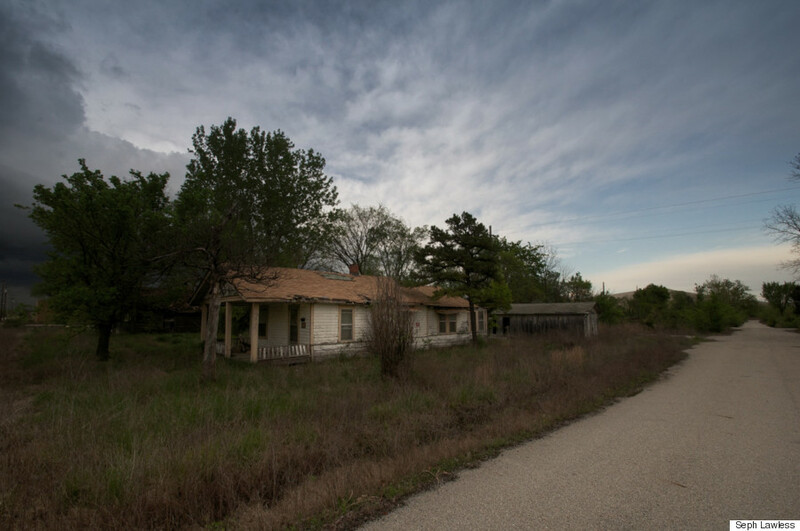 Picher was once part of the Tri-State Mining District, an area known as the zinc and lead mining capital of the world in its heyday, The Los Angeles Times reported. Minerals extracted there from the area helped produce much of the artillery that was used in the World Wars. But the mining left a toxic legacy after the activity shut down in 1967. 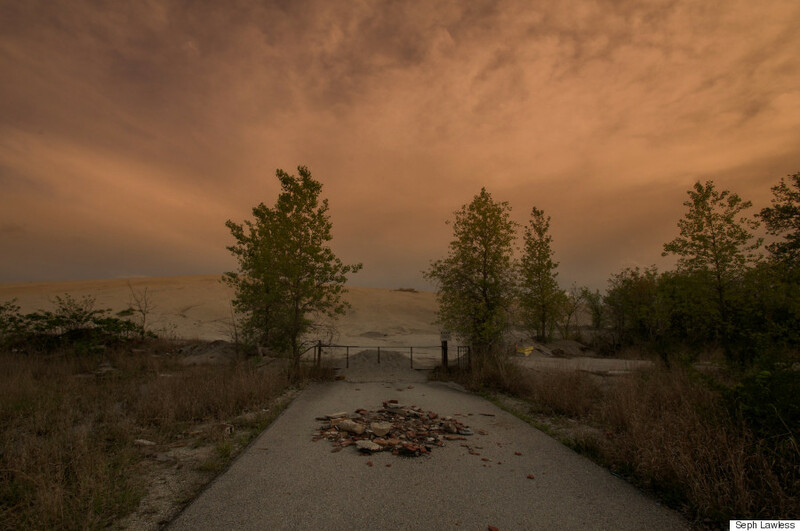 Piles of waste known as "chat" eventually covered 25,000 acres in the area, and substances such as arsenic, iron, and cadmium turned a local creek red with contamination, said NBC News. 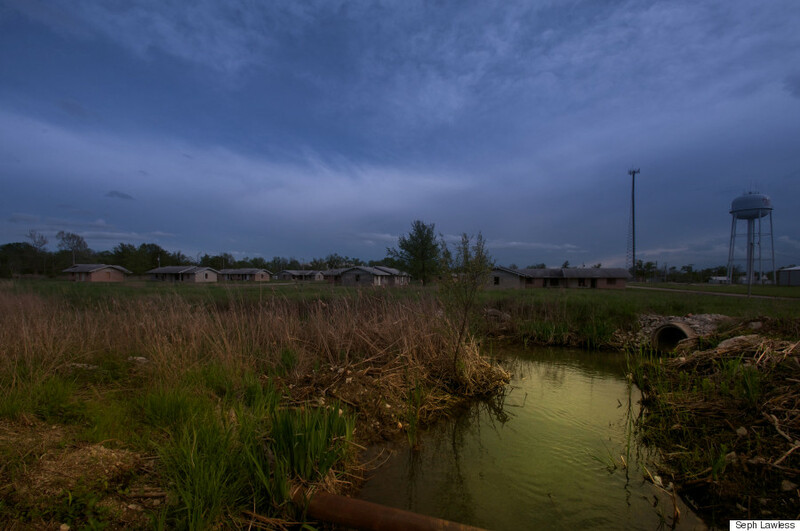 By 1981, the area was declared a "Superfund" — a hazardous waste site covering 104 square kilometres. 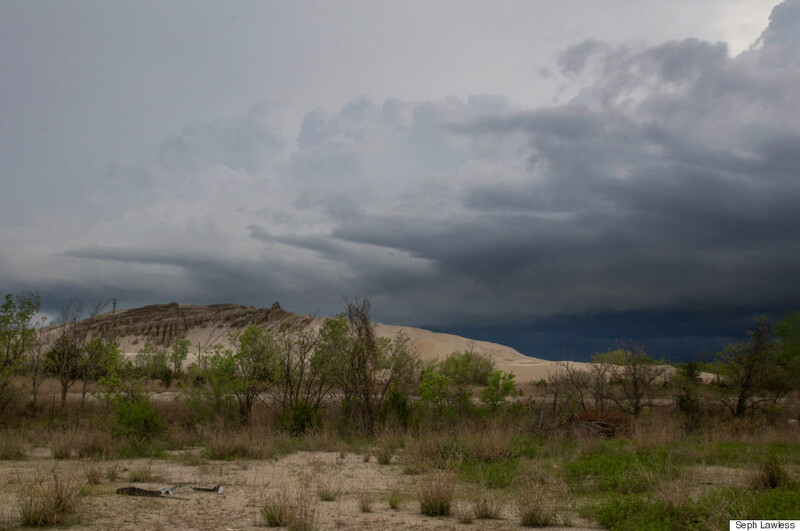 Disease rates were 20 to 30 per cent above average in the mining area, and pneumoconiosis — a chronic lung disease — was 2,000 times more common, reported NBC. 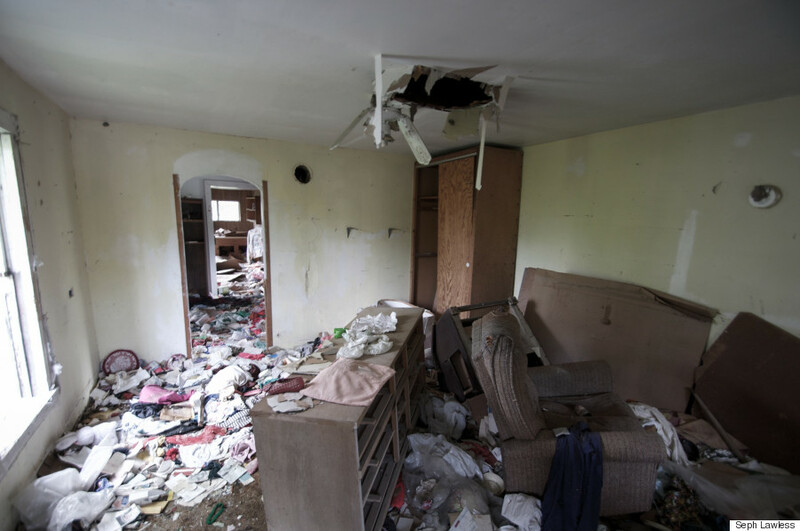 In 2006, a study found that homes in the town were in dire shape, and the federal government started offering buyouts to residents. 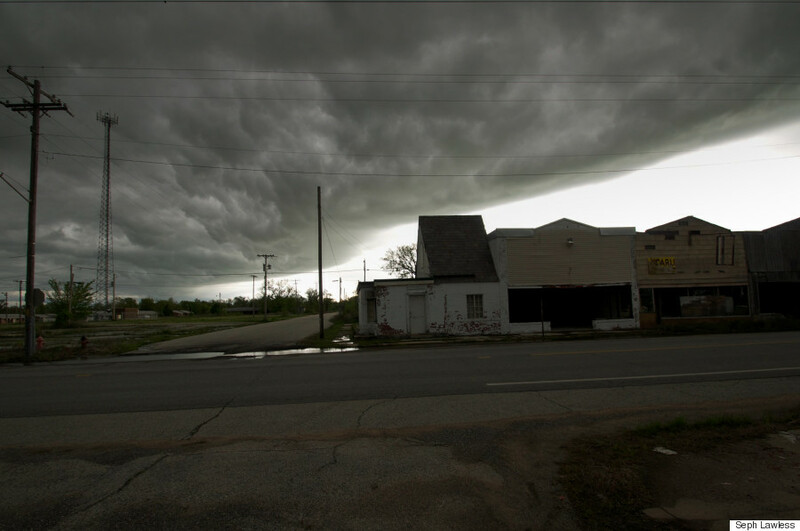 Many accepted those offers after a tornado levelled much of the town two years later. 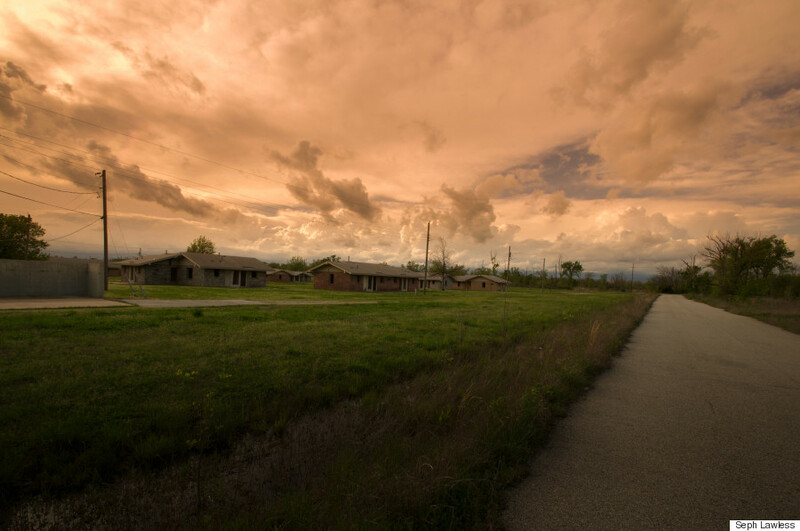 By 2009, the town's police force had disbanded and the government was decommissioned, according to Wired. 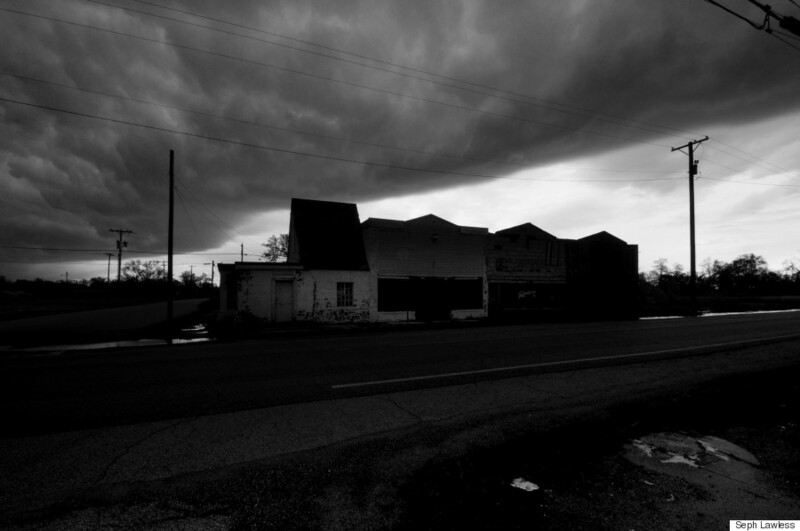 Lawless photographed the town for his book, "The Prelude: The Deadliest City in America," in 2015. 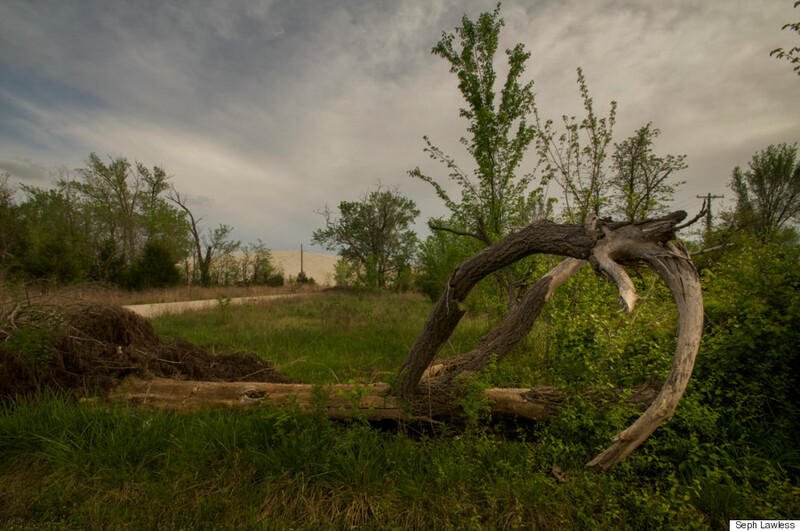 On his website, the artist described being "terrified" as he walked through a town where the ground was left thin by subterranean mining shafts. "At one point my foot went through the ground and I fell ... thinking I was going to cave in and die," he said. 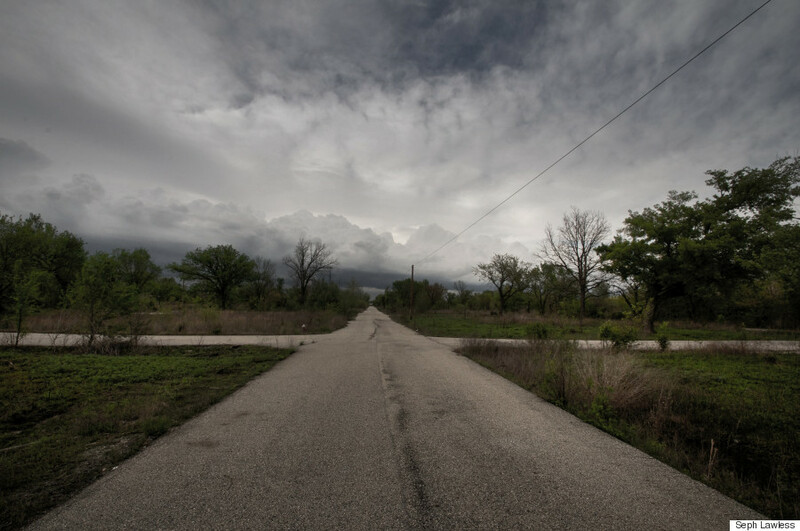 The images show a grim landscape, like something out of Cormac McCarthy's "The Road." 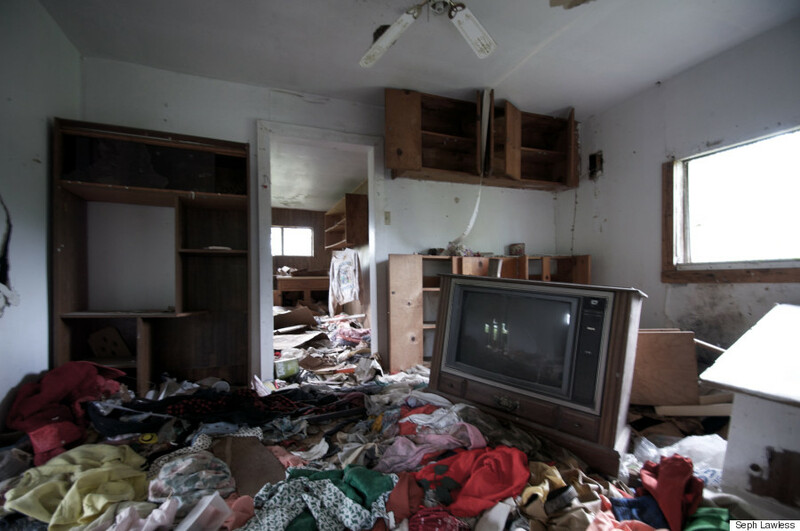 There are massive chat piles that look like rolling hills, and abandoned homes that look ready to cave in. 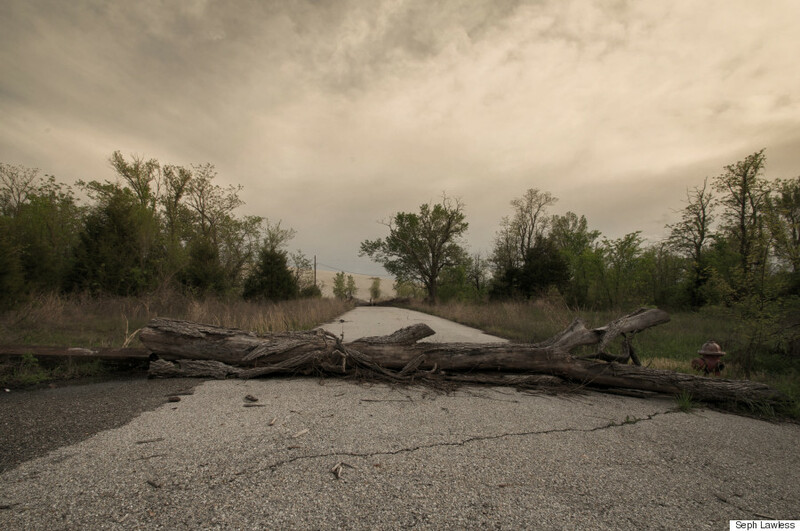 Lawless said the point of his photo series is to show what happens "when mankind doesn't respect nature and the environment." "Could this be what it looks [like] when it all ends?" the photographer asked. You can find more of Lawless' photos on his Facebook, Tumblr, Instagram and Twitter.